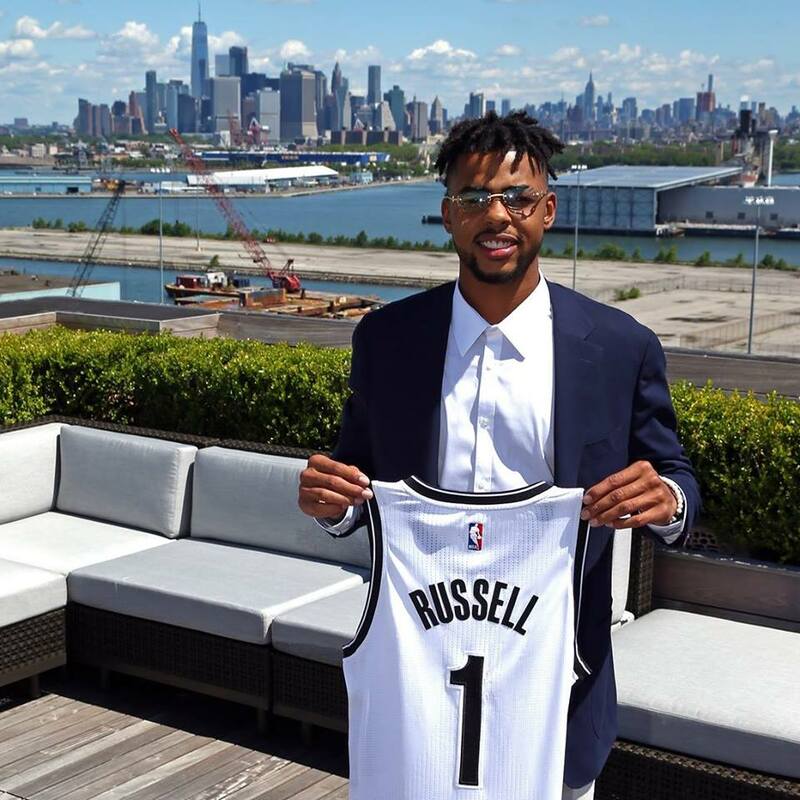 After playing for the Los Angeles Lakers for two seasons, D’Angelo Russell moved to the Brooklyn Nets for the 2017-2018 NBA season. Recently, Nets general manager Sean Marks talked about what is expected from the basketball player from Louisville, Kentucky. Russell has a chip on his shoulder, Marks noted. The former Lakers player needs to get better defensively and at many things with his all-around game, the Nets general manager added. Now, Marks wants to know how Russell takes his high basketball IQ on the court here with a new group of basketball players he has never played with before. As the Nets general manager pointed out, it has yet to be seen how Russell and his new teammates develop trust together. In addition, Marks wants to see how Russell and Caris LeVert develop. Like many NBA fans, Marks is curious about how Russell and Jeremy Lin get along on the court. Meanwhile, fans of Russell were not pleased when he was ranked 100th on the list of top 100 NBA players of 2018 by Sports Illustrated. The top spot was given to LeBron James, who was followed by Kevin Durant, Stephen Curry, Kawhi Leonard and James Harden at numbers 2, 3, 4 and 5 respectively. Russell Westbrook was ranked number 6 on the list. Chris Paul, Anthony Davis, Giannis Antetokounmpo and Draymond Green were ranked seventh, eighth, ninth and 10th, respectively.